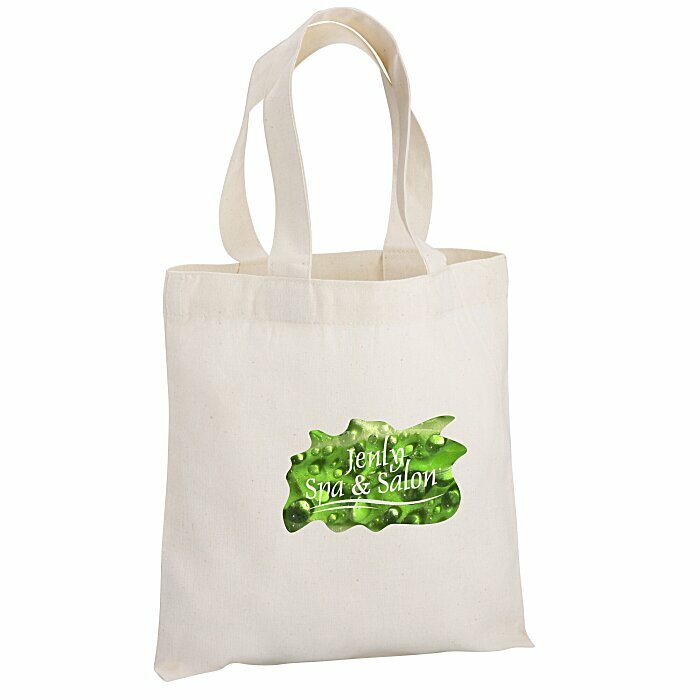 Slip your full-color message in with this brand-boosting event tote bag! For a one-color imprint, see item #1105-99Cotton Sheeting Natural Economy Tote - 9-1/2" x 9". Your price includes a full-color imprint on the front of the tote!